Onmyo-za is a Japanese heavy metal band that is one of the best-known of the genre in Japan. Their sound mixes traditional Japanese mythology with heavy sound and lyrics written in archaic Japanese. 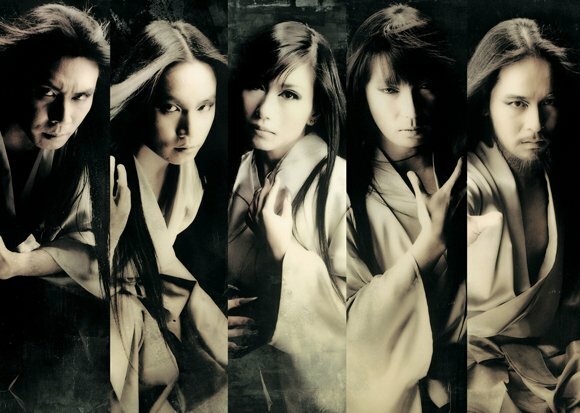 The concept of yin and yang is very prominent in their music by fusing many opposites together (for example, calm traditional folk instrumentation with heavy metal and female vocals with male ones). They are also a very theatrical act, and they are also notable for their powerful female and male duo vocals and at times Iron Maiden-inspired guitar riffs. The yukata is the band’s trademark costume.